Traditional Korean kimchis are a good source of probiotics, vitamins and fibre. Join the Kimchi Club to receive the latest news! We're social. Join us online! Where to buy & taste our kimchi! The traditional spicy Korean recipe. Great for chilli lovers. 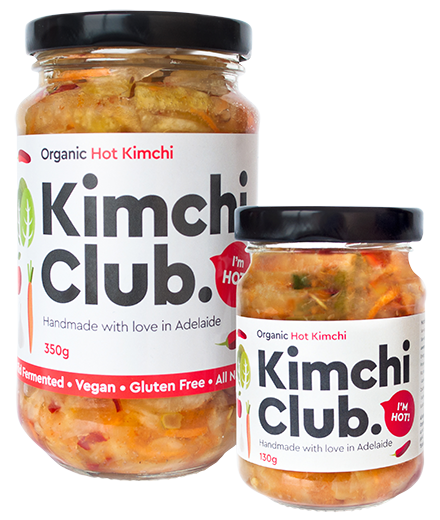 Organic Hot Kimchi is essentially the same recipe as our Organic Naked Kimchi with the added hotness of local chilli flakes. Extra tangy on the palette with a little bit of spice, it’s perfect for spicy food lovers. We highly recommend trying it on a cheese platter – the spiciness and tanginess of the Kimchi brings out the umami flavour in cheese. 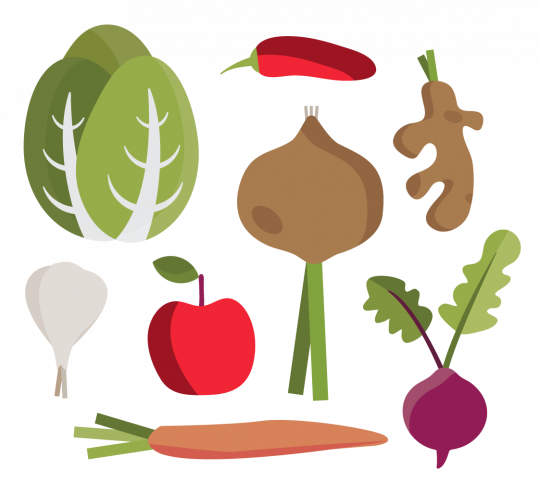 Organic Naked Kimchi is perfect for families, with no added chilli. 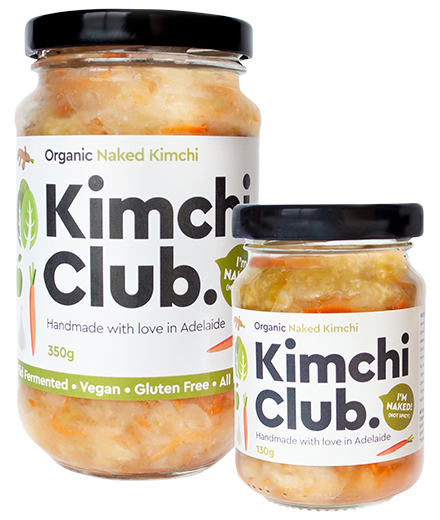 Our Organic Naked Kimchi is popular with children as it has a much milder flavour than our traditional spicy kimchi. Even though it doesn’t have the spice, it still has a perfect crunch and is tangy and fresh. We love having it with BBQ and salad! Some of our customers eat it straight out of the jar, or as a refresher with fresh yoghurt or vanilla ice cream. A non spicy and zesty variety that adds colour to any dish. Our Organic Beet Kimchi has the beautiful velvety colour of beetroot. Its taste and colour will enhance any dish. 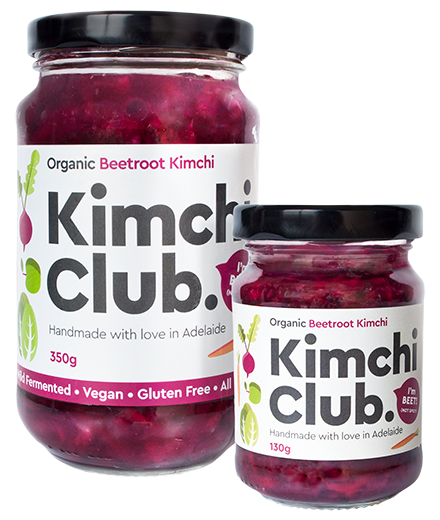 Experience a party of flavours and a zesty, tangy twist to your meal with our Beet Kimchi. We love eating it as a complement to smashed avocado. It’s a taste sensation! Join the Kimchi Club convo!